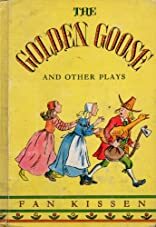 Golden Goose and Other Plays is for Baby to Pre-K. Golden Goose and Other Plays was written by Fan Kissen. Golden Goose and Other Plays was published by Houghton Mifflin Company. A subject of Golden Goose and Other Plays is Children: Babies & Toddlers.